During this DIY Workshop, we will guide you step-by-step on how to knit throw pillow covers. No experience or needles required, and all supplies provided. Spend the afternoon with the mom in your life knitting pillows or blankets. 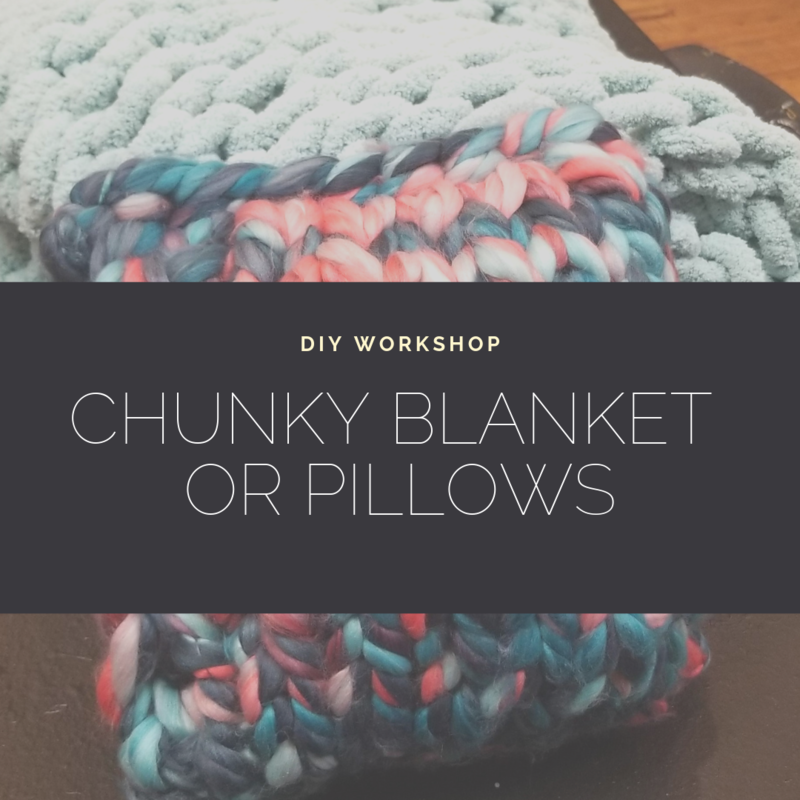 During this DIY workshop, we will guide you step-by-step on how to knit throw pillow covers or a throw blanket. No experience or needed required. Sweet snacks are included. Perfect day out and gift to celebrate the women in your life! Pillows: You will receive 3 rolls of chunky chenille yarn (they are 28 yards each) and 2 pillow forms. A selection of colors will be available on a first come, first serve basis. Some colors may be available in limited quantities. When registering, please indicate if you will be knitting a blanket or a pair of pillows. Blankets: Hand knit a lap blanket measuring about 35x48 inches. A selection of colors will be available on a first come, first serve basis. Some colors may be available in limited quantities.